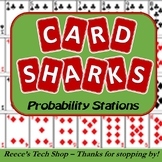 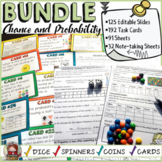 This classroom display provides an engaging visual and supportive teaching aide for the teaching of probability facts related to a standard deck of playing cards. 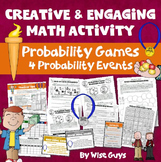 Use this vivid resource to compliment your chance and probability lessons or simply to brighten up your mathematics display area. 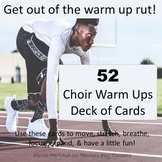 Could be used as a do now or an assessment. 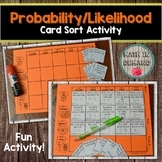 Questions based on the probability of drawing a card. 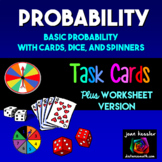 Use this smartboard file as a manipulative during a probability unit. 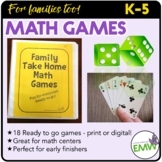 Math Games for families, math night, and early finishers - For All Ages!